This guy has got it all out on display for the photographer! 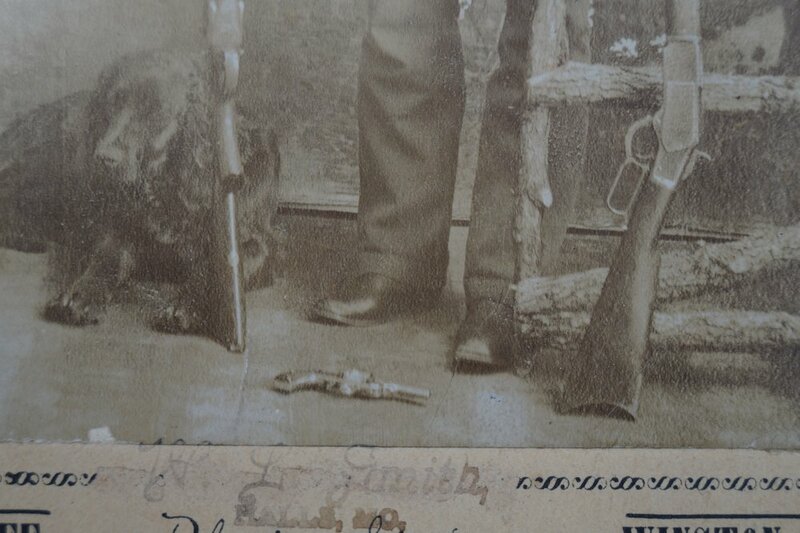 He's got his dog by his side, cigar in his mouth, a double barrel shotgun, S&W Double Action Revolver resting on the floor and best of all, a Winchester 1873 rifle that appears to be in .22 caliber. 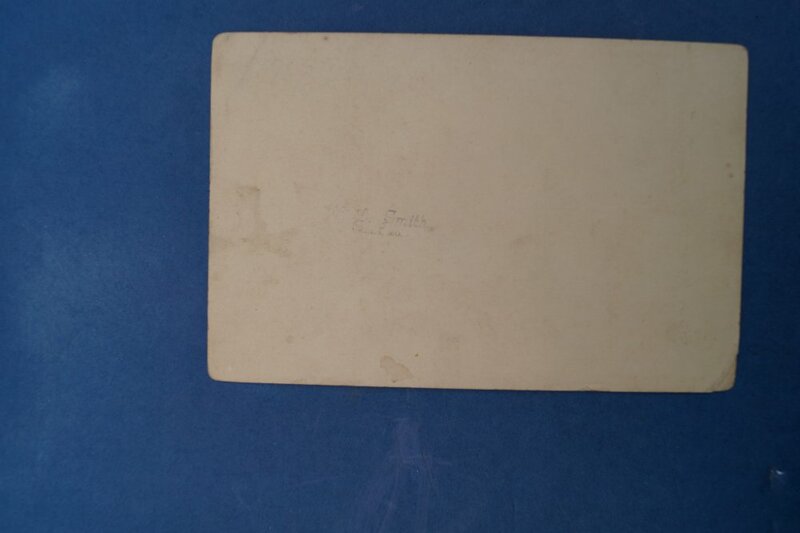 The photograph is a CDV and is marked on the carte, "W.J. Peaslee. Winston, MO. Photo Studio". 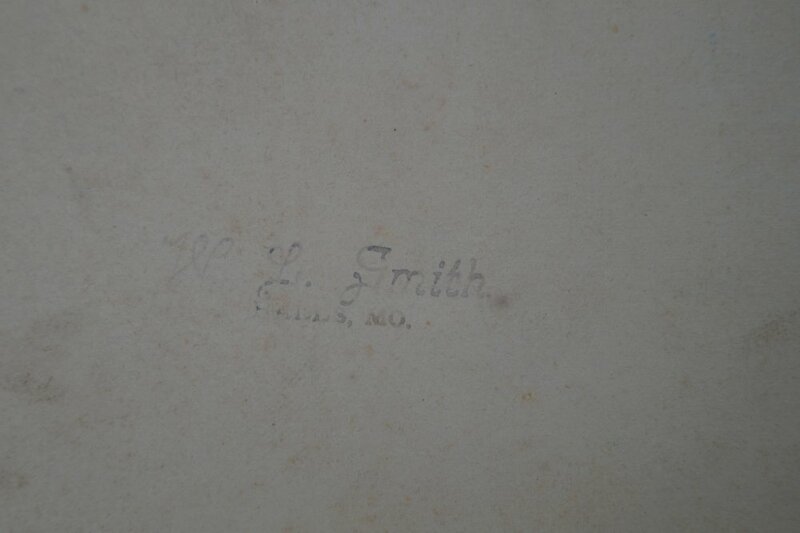 However, it is also stamped above the words "Photo Studio" which slightly overlays the image and on the back, "W.L. SMITH HALLS, MO." Halls is located southwest of Saint Joseph, Missouri. The photo is slightly faded but in good condition with no tears or damage to the image. 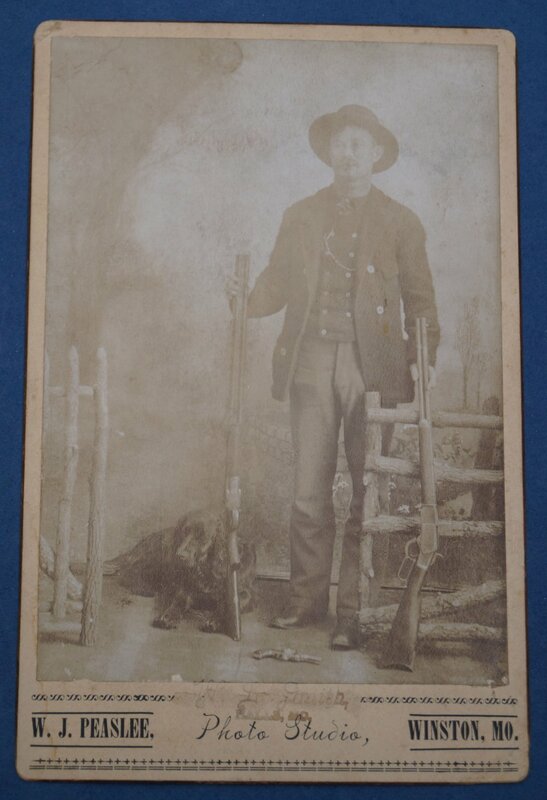 The Winchester rifle he's holding is a 3rd Model with an octagon barrel and I believe its in .22 caliber as you can see a larger sized cap at the end of the magazine tube. These were loaded from the end of the tube via a small inner tube that ran concentrically with the larger outer tube. This was unique as the .32, .38, and .44 WCF calibers were loaded via a spring cover or loading port located on the right side plate of the action. Out of 720,000+ Model 1873's produced from 1873 to approx. 1923, there were just under 20,000 rifles built in .22 caliber. 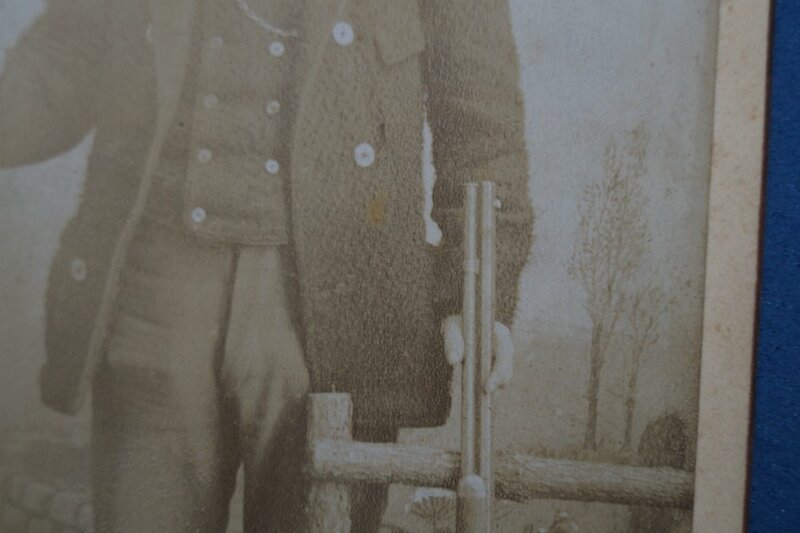 These rifles were offered in both .22 short and .22 long from 1884 to 1904. Although I'm sure there are others out there, personally speaking, this would be the first period image I've seen of a .22 caliber 1873. 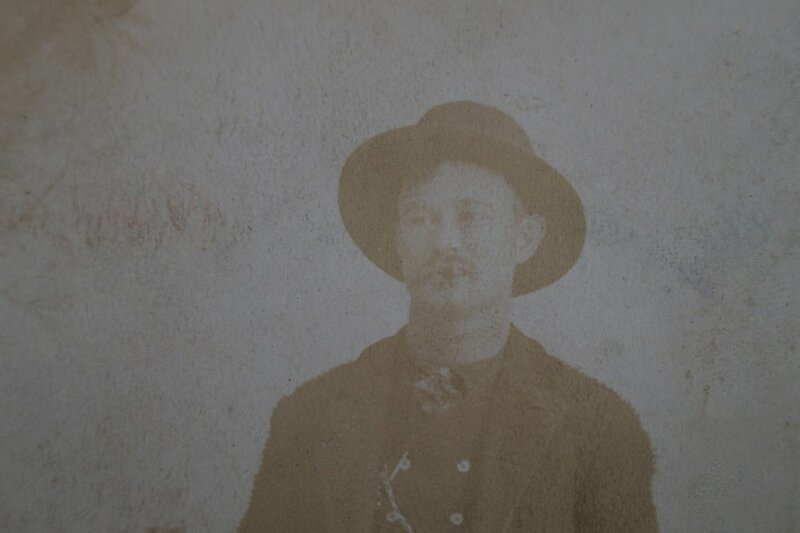 Thus, this photo would likely date somewhere between 1884 to about 1900. 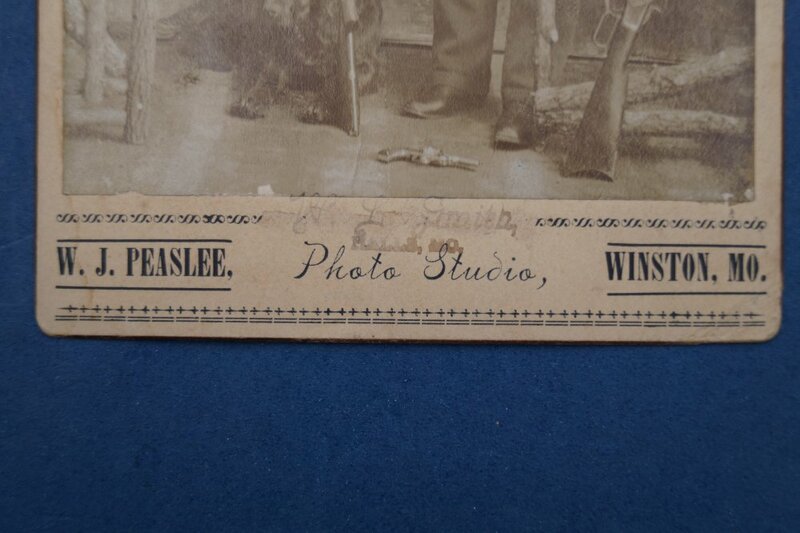 Some research on the photographers Peaslee and perhaps his successor Smith might narrow the timeframe down a bit more.